Summer on the Cape — smart travelers choose The Cove at Yarmouth because it provides the perfect combination of relaxation and recreation. The Cove at Yarmouth is a VRI-managed and Silver Crown-rated resort. Each lodging accommodation features separate bedroom and living room areas, wet bar, refrigerator, stereo, two flat screen color televisions, DVD Player, coffee maker, microwave, and toaster. Enjoy your holiday rental at The Cove at Yarmouth. Partake of the beauty of Cape Cod or just relax at the resort. Swim in the large indoor or outdoor pools, or tone up in the fully equipped health and fitness facility. Play racquetball, volleyball or indoor and outdoor tennis, or just unwind and relax at the spa. Grill some dinner on the gas barbecue, or let us cook for you at the onsite restaurant, which features a variety of specialty dishes and family priced meals. 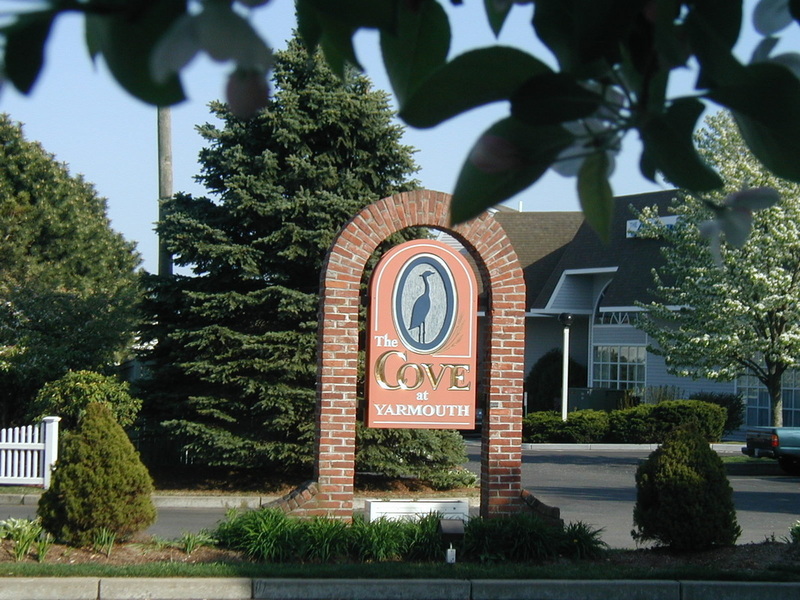 The Cove at Yarmouth is located in the center of everything — beaches, golf and shopping. You’ll be enticed to explore the ocean beaches, or the Cape’s history. Or you can stay busy and happy by joining on-resort activities. Whatever you want to do, The Cove at Yarmouth is your ticket to great vacations. The resort has suite (one-level) and townhouse loft (two-story) floor plans. Units are pretty much the same, except for some are single story and some are two-level. A typical villa, whether suite or loft, measures about 520 square feet, and sleeps 4 people in a queen bed (in the bedroom area) and a queen sofabed. For meals, you’ll find a partial kitchen (microwave, fridge, no oven or cooktop) and BBQ gas grills nearby. The condo provides 2 full bathrooms, 2 TVs, living and dining areas, and a patio. Compare at regular weekly resort rate of $2170 (source: VRI Vacations) and save 50% off the retail rack rate prices! Each accommodation features separate bedroom and living room areas, wet bar, refrigerator, stereo, two LCD color televisions, DVD Player, Keurig coffee maker, microwave, and toaster. The Cove at Yarmouth’s Activities Department offers a variety of activity programs, with “something for everyone”, ranging from fitness walks to T-shirt design. Some activities have a fee, but many are offered at no cost. Check the weekly Activities Schedule.